The School Library Service supports school libraries, learning and literacy. High quality resources support the curriculum and promote reading for pleasure in schools. 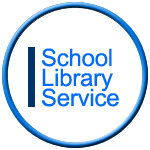 Specialist staff offer an advisory and consultancy service dealing with all aspects of school libraries. Raise standards with a well-resourced school library that adds value to the curriculum. Ensure teachers’ have access to high quality resources to support classroom teaching. Develop information literacy and independent learning. Improve your school library and promote use.